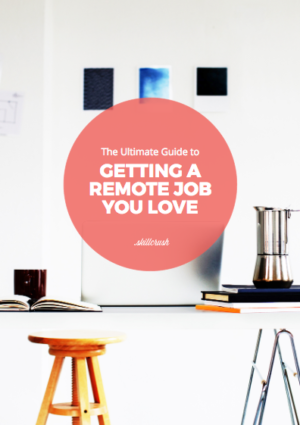 Things get a bit murkier though when it comes to asking how to find a remote job and how to start a remote career. Remote work IS the future, but not all employers are there yet. In the early days of remote work, the prospect of working remotely was often seen as a black and white choice between working from your house and working at your employer’s office. However in the years since, coworking spaces, wifi enabled coffee shops, and other connected public areas now give remote workers all kinds of options for places to get stuff done. Remote work can be just as personally rewarding and financially lucrative in practice as it seems in theory. So what do these premium remote jobs look like? Landing a dream remote job can sound like a tall order, but when you start looking closer it’s a lot more achievable than you might think. Of course when you’re looking for a job, job boards are one of the first places to check. And while you should be keeping an eye on general job sites like Indeed and Glassdoor, when it comes to remote work you can save yourself some time (and possibly find some hidden gems) by checking out remote-specific job boards. Of course you totally can, but not without some caveats. While quality remote jobs abound, you still need to keep an eye out for scams and opportunities that sell themselves as the dream but aren’t all that.